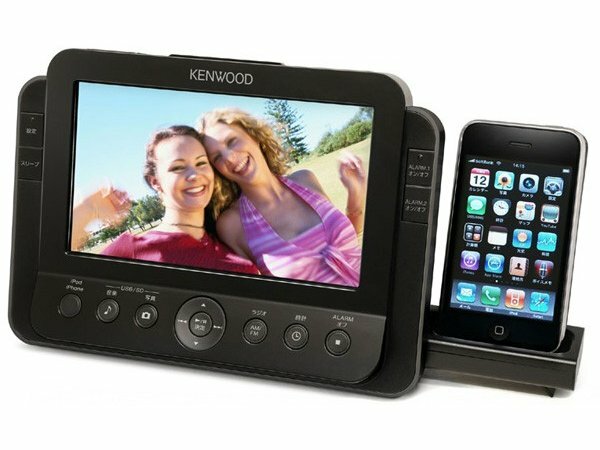 Kenwood have just released details for their latest docking station and picture frame gadget the Kenwood AS-iP70 which combines a radio, clock, picture frame and iPhone dock in one. The AS-iP70 is equipped with a 7” WVGA 800×480 resolution LCD screen and when not in use the iPhone dock can be slide neatly back into the main body. The picture frame supports memory cards upto 32GB and USB flash drives but unfortunately there are no details on it supporting video playback, which is a real shame.